Well, maybe “best car accident injury lawyer secrets” was a bit of a melodramatic title to this blog post, but there are a lot of things about car accident injuries that regular people just don’t know. Many folks have an idea of what car accident cases and car accident laws are like from watching movies and TV. There’s lots of big dramatic moments, last second reversals, and long, icy glares thrown across a courtroom. As you might imagine, that’s rarely how it actually works. We always like to better inform potential clients, so that if they ever need our services, they know what to expect and how to help their own case. If there was one tip we’d like to mention to people, it’s that “the insurance company is not your friend.” If there’s one thing we could tell people, just one idea for them all to know, it would be that. Too many see the insurance company as this objective arbiter of truth, that will just give you the money you absolutely deserve when you’ve been hurt, and unfortunately it’s just not like that. Instead, they tend to do the opposite: they hold onto the money as long as possible, in hopes that they never have to give you any at all. That’s because, frankly, any insurance company’s business model is dependent upon not paying out the money injured people are owed. That’s what their entire business is built upon. If they keep paying out money, they wouldn’t have as much as they do. That’s what animates and motivates every decision they make for your case. So, you have to keep that in mind when dealing with the insurance company. No matter how friendly someone from the insurance company is, they really aren’t there for you. To contrast, look at the business model for our team of attorneys who specialize in car accident cases. We get money when you do. If you don’t get paid, well, you can do the rest. So, we have a very tight, vested interest in making sure that you get everything that you deserve. The more money you get, the more we get. We only get paid when you get your settlement, and if you don’t get that settlement, well, we’re out of luck. So, our motivation is to get you as much money as possible, as it’s in our interest as well as yours. That’s a pretty clear way to know that we’re on your side. 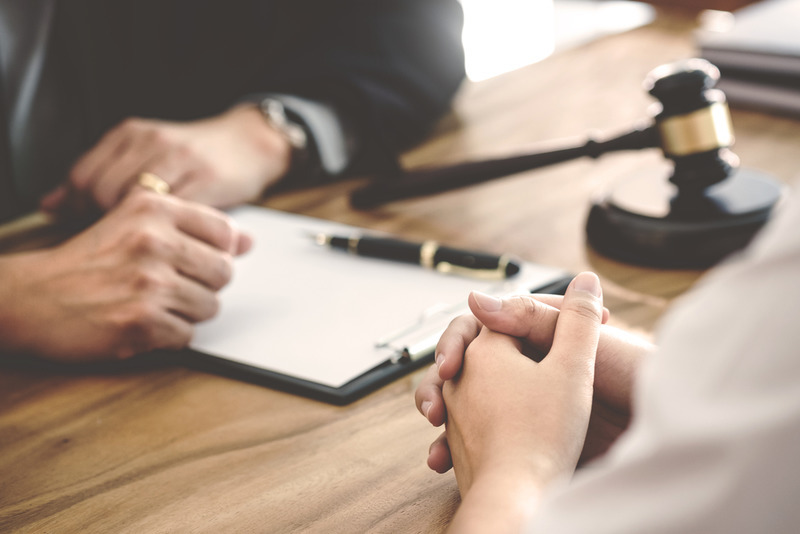 We have all different kinds of tactics, experience and more that we’ll put to use for your case so that you get as much compensation as possible. On the other side, the insurance company has all kinds of tactics, experience and more that they’ll put to use making sure that you don’t get as much money as possible. In fact, they want you to get as little money as possible, preferably zero. This is something to remember every time the insurance company reaches out to you, has a representative talk to you, or offers you some kind of deal. In fact, the last is one of the first techniques the insurance company often tries on someone who’s been hurt in a car accident. The day you’re hurt in a car accident (or even a few days after) is not a good one. You’re not going to be in your best place mentally, emotionally, or physically. You’ll be vulnerable, scared, hurt and maybe even angry. Of course, this is when the insurance company usually tries to swoop in and get you to sign a settlement agreement as quickly as possible. It’s the first (but by no means the last) way they try to take advantage of you. See, the psychology behind this is, as you’re vulnerable, you’ll be looking for any positive and good news whatsoever. You won’t’ be thinking at 100% capacity, so you won’t really be thinking – you’ll just take the deal. For years, the insurance companies have saved millions (probably billions) by doing just this. By going to people when they’re at their worst, they’ve managed to keep them from getting the compensation that they deserve. It’s not quite stealing, but it can seem fairly close. When the insurance company offers you a deal, the best thing you can do is give it to a car accident injury lawyer of ours. Let us take a look at it. The consultations here are free, so it’s not like you’re going to paying us a lot of money to look at it. We’ll give it a look over. If it’s a good deal, and what your claim is worth, we’ll tell you that and send you on your way. Of course, it’s never been that, nor will it ever be that, but we’ll look at it. Remember: the insurance company knows what your claim is worth. Beyond their years of experience, they have the very best experts, analysts and more crunching those numbers 24/7 to know exactly what every claim is worth all of the time. So, when they give you a number, unbidden and early, you can rest assured that it’s much less than your claim is worth. In fact, that’s how they arrived at whatever number they give you: they figure out what your claim is worth, and then they try to give you something much less than that because it’ll be fast. We’ve had people bring the first offer from the insurance company to our car accident injury lawyer team and say something like: “look at all the money the insurance company has offered me.” And, frankly, it’s true: sometimes, the insurance company really does offer a lot of money with this initial offer. However, one thing to keep in mind: the more money they offer you up front, the more your claim is actually worth. The insurance company doesn’t want to give you a lot of money in any circumstance. So, if they’re offering you a great deal of money at first go, imagine what your claim might actually be worth. The other reason that the insurance company wants you to sign early (and not speak to a car accident injury lawyer) is that they want to head off having to pay for any later, late developing injuries from your accident. One of the worst parts of getting hurt in a car accident is that the initial injuries are rarely the only injuries you’ll suffer from them. A traumatic event like a car accident can lead to more health problems down the line. As your body was hurt, weakened and the like in the accident, most people find that they have more injuries than they (or even their medical providers) initially thought. Of course, the insurance company knows this, too. So, they don’t want to have to pay for those injuries, either. Thus, they’ll make a low ball first offer to you and hope you’ll sign it. Then, when you do, and when those later injuries inevitably arise, the insurance company won’t have to pay for them. You’ll be on your own, having to pay for them yourself. Sure, they happened as a result of the same accident you went through, but the insurance company did what they could to make sure they don’t have to pay. Don’t let this happen to you. Get a car accident injury lawyer right away from our firm and let us take on the insurance company on your behalf. Instead of letting them get away with giving you less money than you deserve, let us get you all the compensation that should belong to you and your family. Scheduling a free consultation is easy, all you have to do is call us at (818) 210-4558 or do it through our website.